Well, how to make partitions after Windows installed? In this post, we will introduce 3 ways. With excellent partitioning tool, you can create partitions in Windows very easily, and the freeware MiniTool Partition Wizard is worth trying since it is easy to use and safe enough to operate. Please select the large partition and choose "Split Partition" feature from the left side. Then, drag the sliding handle to change partition size, and click "OK". 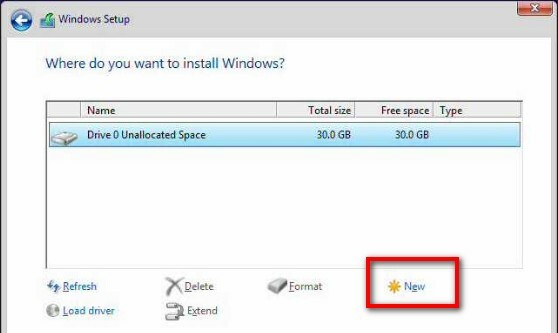 Now you can see a new partition is created without your formatting. At this time, users only need to click "Apply" button to make this change performed. Please select the large partition you want to shrink, choose "Move/Resize Partition" feature from the left side. Then, shorten partition handle to create an unallocated space and click "OK". Next, create a new partition in the unallocated space and apply all changes. However, if you are unwilling to use third party program, do it in Disk Management or Diskpart. Please press on Win and R keys to call out Run, then type diskmgmt.msc to open Windows Disk Management utility, right click the large partition, and choose "Shrink Volume" to create an unallocated space. Then, create new partition(s) in the unallocated space. Note: the "Shrink Volume" feature will be grayed out if you are going to shrink an FAT partition. In addition, old versions of Windows, such as Windows XP and Windows Server 2003, are not configured with this feature. Please type diskpart in Search box, and run this program as administrator. Each command should be followed by pressing on Enter key. Tip: diskpart has the same limitations as Windows Disk Management. Now, all of you would know how to create partitions after Windows has been installed. Try one of these 3 methods now.